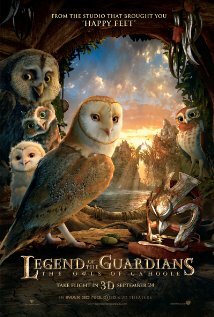 We are pleased to announce that Cinema Lorosa'e will start the 2011 season by screening the movie "Legend of the Guardians: Owls of Ga'Hoole" on Friday, August 26th at the Sunset Fair http://dilisunsetfairassociation.blogspot.com/ at 8pm. This animated movie is a fantasy family adventure based on the Guardians of Ga'Hoole books by Kathryn Lasky. The film follows Soren, a young owl enthralled by his father's stories of the Guardians of Ga'Hoole, a mythic band of winged warriors who had fought a great battle to save all of owlkind from the evil Pure Ones. While Soren dreams of someday joining his heroes, his older brother, Kludd, scoffs at the notion and yearns to hunt, fly and steal his father's favour from his younger sibling. But Kludd's jealousy has terrible consequences - causing both owlets to fall from their treetop home and right into the talons of the Pure Ones. Now it is up to Soren to make a daring escape with the help of other brave young owls. Together they soar across the sea and through the mist to find the Great Tree, home of the legendary Guardians, Soren's only hope of defeating the Pure Ones and saving the owl kingdoms. "Legend of the Guardians: Owls of Ga'Hoole" will also be shown at Government House (Palacio do Governo) on Sunday evening at 7pm. 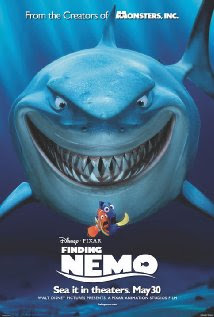 On Saturday night, August 27th, 7pm at Government House, the movie will be "Finding Nemo". A lovely children's film that is also enjoyed by most adults, "Finding Nemo" is a particular favourite in Timor-Leste because the story is set on a coral reef and shows many of the marine animals that can be seen on this country's real-life reefs. Language: English with subtitles in Bahasa Indonesia. Cinema Lorosa'e to Premiere at Sunset Fair! Magic Sound for Cinema Lorosa'e!